Arun Gandhi, grandson of Mahatma Gandhi spoke at the Unity Church recently. We all share the commonality of global origins defined by diverse backgrounds and distinct ideologies. Whether we are first or fifth generation, we have the privilege of having a home built on American soil. It’s the seeds of diversity that have allowed our democratic country to blossom and we must stand together to continue cultivating our garden. 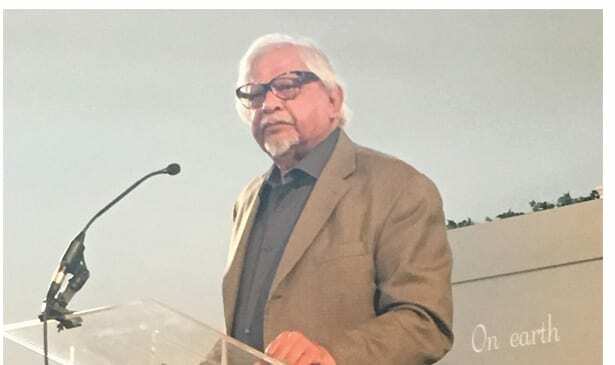 Arun Gandhi, the fifth grandson of the great Mahatma Gandhi, addressed the Unity Church in Nashville on Oct. 1, speaking on democracy, unity and nonviolence. He shared firsthand stories and teachings from his grandfather. When Arun Gandhi was 12 years old, he was living in South African and faced harsh discrimination. He decided to body build so he could fight back. His parents thought it would be best to send him to India for an 18 month stay with the great Mahatma Gandhi to learn the principles of nonviolence. Arun Gandhi was taught to turn weakness into strength, sharing how great leaders as his grandfather and Martin Luther King were set apart because they channeled weakness into strength and placed great emphasis on understanding anger. Mahatma Gandhi taught his grandson through stories, parables and various disciplines. The teen journaled daily about what made him angry, analyzing what he did and what was done to him. When asked about the current socioeconomic climate, Arun Gandhi responded by stating it is the abuse of anger that has resulted in present day dysfunctional democracy and downward spiral of race relations. My own grandfather, or nanaji, was part of this lost generation that endured great peril in the fight for freedom. Nanaji had a divine peace that was truly unshakable. I once witnessed someone getting angry at him for refraining from anger. He didn’t support the discrimination of the caste system and stood for equity and justice. I want that divine peace and long to reignite Gandhi’s movement of nonviolence which means protecting all citizens and standing for truth. And it starts with me. Renuka Christoph oversees communication for Vanderbilt’s Office of Equity, Diversity and Inclusion.